For fans of the legendary New England Patriots, every single game is personal. That was especially true during the 2018 NFL season, culminating in the team’s claiming of professional football’s highest honor. Now, the Super Bowl LIII Champions New England Patriots charm bracelet lets you celebrate their victory while adding your personal touch to a beautiful expression of team pride. Showcasing an original fine jewelry design exclusively from The Bradford Exchange, the Go New England Patriots! Personalized Bracelet can be custom engraved with names, a personal message or date of your choice to create one-of-a-kind Super Bowl LIII Champions memorabilia for Patriots fans.Officially licensed by NFL Properties LLC, this personalized bolo-style New England Patriots charm bracelet is finely handcrafted and lavishly plated in gleaming sterling silver. 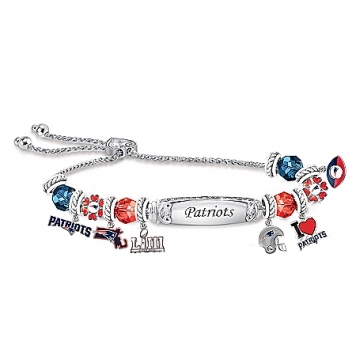 A beautifully ornate bead in the center features your personalized engraving on the reverse side, while the front declares your Patriots pride with a team name engraving. Gracefully flanking the centerpiece are 14 individually handcrafted, free-moving charms – each one a unique expression of team spirit – with vivid accents like team color enameling, stunning silvery tones, iconic logos and team-colored crystal beads. There’s even a Super Bowl LIII Champions logo charm for a winning touch! Plus, the heart-shaped slider bead lets you adjust the size of your New England Patriots commemorative bracelet from 6″ to 9″ to fit almost any wrist. It even arrives with a gift box, perfect for safekeeping or giving as a Super Bowl LIII Champions New England Patriots fan gift. 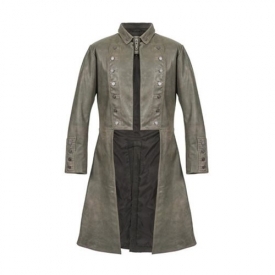 Strong demand is anticipated, so don’t miss out on this fashionable, and personal, celebration of Patriots loyalty. Order now!